A surprise box office hit in the summer of 1996 was The First Wives Club, starring Goldie Hawn, Bette Midler and Diane Keaton. The trio played middle-aged women who had been dumped by their respective spouses for younger women, and so embark on a campaign of trickery and blackmail to destroy their husband’s financial lives and professional reputations. While the movie grossed more than $180 million, showing that it resonated with female audiences; if the behaviour of the lead characters actually happened in the real world, it would be vaguely psychopathic. The women wouldn’t really need to worry about having enough money after a divorce, since all their accommodation and food would be taken care of by a lengthy jail term. Perhaps you’re planning a divorce, but are slightly worried about the consequences? The emotional effects of a divorce are obvious, but the financial ones need to be strongly considered as well, so let’s look at some of the things you need to think about when your marriage comes to an end. Despite the acrimonious reputation of divorce, most marriages end amicably, which is of course not the same as happily. The majority of divorces are not contested, wherein both parties have sat down, gone through their assets and divided them fairly- with no arguments over who gets to keep what. 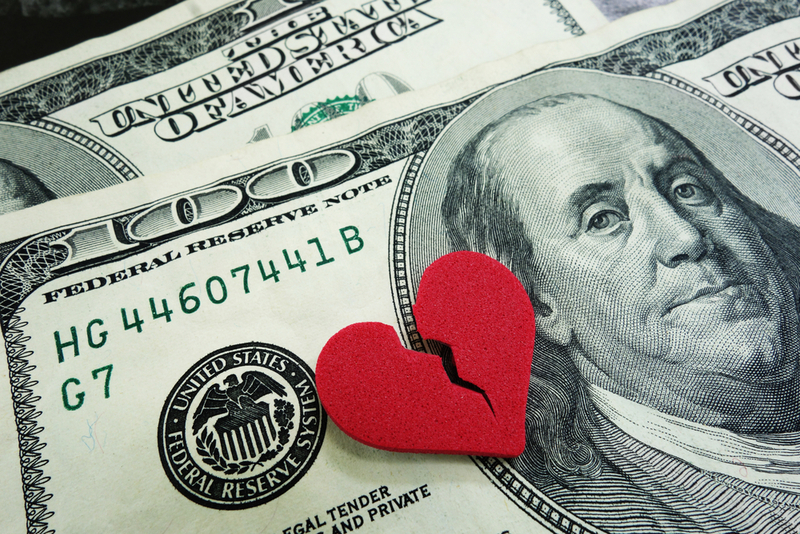 The divorce still needs to be approved by a court, with some legal costs involved- and this varies from state to state, but you can expect to pay upwards of $1500. It can also be a good idea to have your side of the settlement looked at by a divorce attorney, even though attorneys aren’t technically required for this sort of divorce, and you’ll need to pay whatever fees are charged by the attorney for this process. A contested divorce that leads to litigation can be rather messy, and should be avoided if at all possible, since this type of legal fight can drag on for an extended period, resulting in huge attorneys fees for both parties. This is when an agreement can’t be reached about the division of assets and one or both of the parties feels obliged to fight for more, or sometimes for less, when it comes to how much alimony they’re willing to pay. Financial difficulties are a contributing factor to many divorces, and spouses are often liable for one another’s debts- something that they’re often unwilling to do, and attempt to free themselves from as part of the divorce settlement. In addition to the immediate costs, you need to remember that there are often long term financial implications of divorce. In addition to consulting a divorce attorney, you might want to speak to your accountant or tax specialist. You might not need to pay tax for the actual division and transfer of wealth and assets, but your subsequent capital gains tax liability might be affected. You should also reconsider your retirement plans, if your 401K or other retirement savings fund have been altered (depleted) as a result of the divorce, since you may need to contribute more than before to your retirement savings, unless you like the idea of delaying retirement by several years. Divorce is never a happy time, and while you don’t necessarily want to be selfish, you really have gone from being an “us” to being a “me.” As such, you need to think of both the long and short-term financial implications of a divorce and prepare for them. With a bit of careful planning, you can ensure that while you might not know what your post-divorce life will bring, you’ll at least know that you can afford it.